Accommodations for members and guests include spectacular dining rooms, intimate cocktail lounge, international squash courts, full service bath department, state of the art fitness facilities, relaxing lounges, wood paneled library, 59 modern sleeping rooms, 13 private dining rooms and much more. 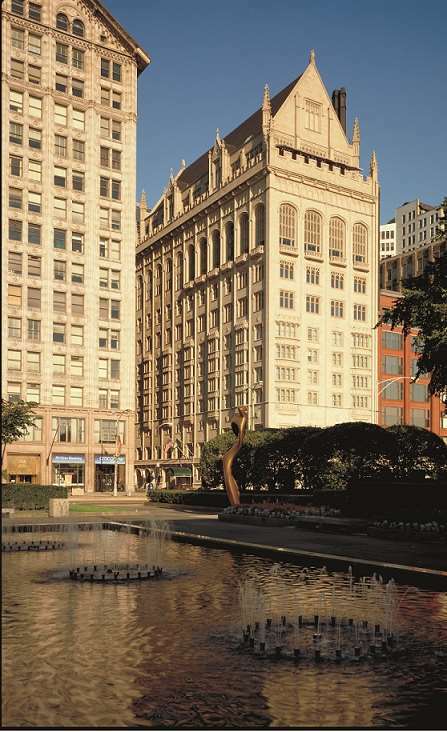 The Club, which overlooks Lake Michigan, is located across the street from The Art Institute of Chicago and steps away from Orchestra Hall, home of the Chicago Symphony Orchestra. We are only minutes away from the Field Museum, Shedd Aquarium, the Chicago theater district, State Street shopping and the world famous Magnificent Mile.